Greetings, my beloveds, yes, it is I, Yeshua. 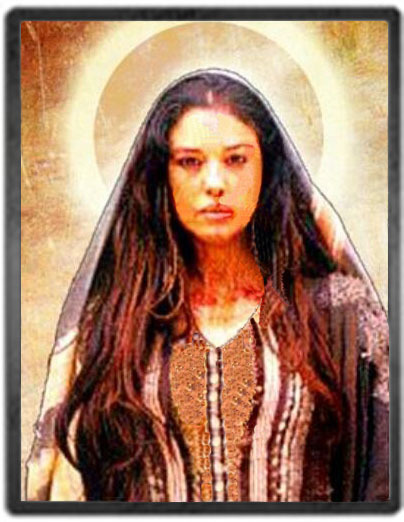 I come to you here with my Mother and my beloved Mary Magdalene. As you celebrate this week of love, it is of great importance that you begin to honor the beautiful essence of your own souls. I know we speak of this often, but we ask you now to truly honor your own soul, for you have been through so much in all of your incarnations, including this particular incarnation. It has been a difficult journey to hold your light, as we understand that this Earthly experiment, as it is called, is truly most difficult for a great deal of the human species, and even during my lifetime as Jesus of Nazareth, as you know, my incarnation was most difficult, and yet it was also most glorious. And so I honor each of you at this time of celebrating the energy of love upon your planet. Mother Gaia is so pleased to have all of you here on your surface. And she is welcoming each of you to step now into the center of her heart, for today we are going to move into the center of the vibration of the heart of the Earth Mother. And she is now going to bathe your physicality and your beautiful soul with Divine, Divine Love. And so, I ask if you so shall, to begin to set aside your worries and your fears, and Isabella will begin to open the gateway to the crystalline core of Mother Earth. And we shall all enter into the beautiful Temple, into the heart of the Earth Mother, where each of you will be bathed in such pure, pure love, that your own resonance, your own pure energy will begin to expand. And you will begin to feel this sense of lightness, and this sense of joy inside of your being, as you begin to honor and love yourself, you begin to honor and love your soul, and truly begin to honor and love the depth of your being. For we say, Dearest Ones, the soul’s journey has been arduous, and yet, it has been glorious, and so we ask you now to begin to set aside all that no longer serves you, and truly begin to love yourself, love all of your soul experiences, all of the lifetimes and energies and experiences that you’ve had, and begin to honor them, to bless them, for every experience leads you closer to God. This is why you are here on this Earth plane, this is why you are here at this time, for you are holding the living expression of the essence of God within your being. And so, Dearest Ones, this is the reason why you came to planet Earth. And for those who struggle with the understanding of why they are here, for those who struggle with what they call the miseries of life, the problems of life, the struggles of life, we ask you to begin now to go into the heart of the Earth Mother, and to begin to allow her to transform the frequencies around you that have created and continue to create any chaos, havoc, or difficulties within your life. This is of grave importance, Dearest Ones, that you all begin to live in the energy of the New Earth. We have spoken about this in our recent transmissions, but the New Earth is here, and all of you, if you so choose, will live in a vibration of peace, love, nurturance, bringing forth the power of beautiful, beautiful miracles and energies that will begin to transform your lives into balance, spiritual physical beings. And so today, Dearest Ones, as Isabella opens the gateway and the doorway for all of you to enter into, we ask you to take a deep, deep, deep inhaling breath, and simply begin to breathe in the energy of love into your vessel, because here at the heart of the Earth Mother, there is love, only love. Begin to feel this energy expand into your heart, and in this week of your Valentine’s Day, when you celebrate love, when you truly begin to feel this unconditional love for Mother Gaia, begin to allow her to now heal your soul, and to heal all energies within your soul that are discordant, to begin to heal all energies within your etheric body, your mental body, your emotional body, and all of your subtle light bodies that are not in alignment to love. For you see, Dearest One, in the original creation of your beautiful soul, you were created in love. And love it shall be. If you hold this vibration and this intention, that you are receiving love, that you are love, that love surrounds your life, and that all is in divine order and the frequency of Divine Love, and that you will, I repeat, you will begin to shift your reality around you, and more and more blessings will come to you. One by one by one, as you begin to shift your frequency and allow Mother Earth now to bathe you, and to hold you into this frequency of love and light, then allow yourself to begin to feel this energy of the pure essence of love within your heart. Love your heart, love your soul, love every aspect of the essence of you. Do not condemn yourself, do not condemn others, do not condemn the experiences that you’ve had within your soul journey. Everything that has happened or will continue to happen to you can now be what we call transmitted and transferred into a powerful vibration of balance, peace, love, and joy. What I mean by this, is that all energies that you have carried within your soul pathway, your soul presence, within your soul presence, can now be transmuted. Can you now begin to realize that you, and we say again, you, are the creator of your reality, and you can create anything that you want in your life, be it loving relationships, health, personal wealth, and letting go of any frequencies that are not of the energy of the Divine Light of God. For you see this energy is of abundance, and the universe is abundant, you are abundant, begin to call in this abundance within your life, allowing only good to come to you, mentally, emotionally, physically, psychologically, financially, in all of your relationships, call in this abundance. It is yours to be received, it is yours to be received, it is yours to be received. Know, at this time, Dearest Children, that as you call in this frequency, you are now shifting all of the patterns and all of your lifetimes into balance and into unity. This is where, Dearest Ones, you are living in your Divine truth, as a Divine spirit and a Divine soul. As you align yourself and what we call make the corrections within your mental attitude that you are able to bring to you everything that you want, this is truth. You are able to create and manifest all that you desire. Moment by moment by moment you are all creating, your physical body is creating new cells and new life within you, just as we speak. You are creating you. And so, Dearest Ones, you have the innate power within you to create what you desire. Hold it in your intention, hold it as your truth, do not allow this day to go by where you have not acknowledged your Divine truth of your beautiful spirit. Do not allow this day to go by that will deny you the Divine truth of your beautiful spirit. Please honor yourself for all that you have done, and all that you shall continue to do as you hold this powerful vibration of love as a child of God inside of you. And so, Dearest Ones, here at the heart of the Mother, here at the center of Mother Gaia, please begin to allow her to nourish and to feed you, this may sound a bit strange to you, but she is sending waves and waves and waves of love to you, as if you are being fed by tubes of light, into your etheric field, that will now come forward into your physicality, into your consciousness, into your physical body. Waves and waves and waves of light are being infused within your body. Waves and waves and waves of light are being infused within your body. Waves and waves and waves of light are being infused within your body. This will allow you to physically begin to shift your vibration so that you are holding love into every particle of your being. Your body will respond to this energy. I know we have said this many times before, but I, Jesus of Nazareth, Lord Sananda, Yeshua, Yeshua bin Joseph, whatever name you wish to call me, I am here to place my energy and my holy compassion, upon your energy field so that you may shift your consciousness today. I am giving you this gift out of love, here on your Valentine’s Day, the day of the week that you honor the energy and the vibration of love, and so, Dearest Ones, know that on this day, and on this week, and on the moment of what you wish to receive in this very moment, you are receiving the power of love that will change your life. It will change your perspective, it will change the experiences of your soul. And you say, how can I change what has been etched within the hologram of my soul, into my Akashic record? I say, Dearest One, that all things are possible, and today, if you so choose, you are transmuting all the energies, all the frequencies, all the lifetimes, all of the soul’s journey, and it is now being Divinely graced, and everything now is what we call voided, that is not of love, that is not of balance, that is not of peace. And so, you may begin to feel this shift most immediately, for some it will happen instantaneously, for others it will happen a little bit more gradually. But know, Dearest Ones, that it is happening for those who wish to receive. You are receiving this divine abundance of such tremendous love that has been brought forth from the Earth mother for you. So many people have lost connection to the heart of the Mother, they have lost connection to the Earth, they’ve lost connection to themselves, they’ve lost connection to their soul, and so, Dearest Ones, be the ones to be the blessed ones. Yes, Dearest Ones, be the ones to receive this blessing. You are all blessed ones. And I say if you allow this to happen upon this day, and allow the unconditional love of Mother Earth and all of our energies, my Mother’s, myself, Mary Magdalene, and the Great Supreme One, the Great Creator, and all of life, to now infuse this powerful frequency of love into your being. You will be, as they say, changed forever. You will simply return back in your physicality to the true essence of the spirit that you are, holding such tremendous, tremendous love that no one will be able to deny this or to feel it, as you send waves and waves and waves of love, to yourself, and send waves and waves and waves of love onto the world, Mother Earth is now feeding you this energy through the soles of your feet, and like a feeding tube, you will be continuously fed the vibration of love. And your heart will hold great compassion, for those who do not understand, for those who suffer, and those are misdirected. Remember, Dearest Children, they know not what they do, for you see the soul and the consciousness of each individual is not fully aware of their own thoughts and behaviors and thought forms. If they understood, they are accountable to this energy of love by their mere presence, and if they felt this energy within them, there would not be any more violence, chaos, or even misunderstanding between two souls. And so, Dear One, we ask you today to breathe in this energy, and allow it to be your guiding light, with every thought that you make, with every decision that you make, you are doing it with love. You are holding the vibration of love into your heart so beautifully, so purely, so effervescently, that you are holding this vibration with love. And so, Dearest Children, allow yourself to be here now in the heart of Mother Gaia, in the center of the heart of the mother, and I ask you to join hands energetically, as you are all connected and you are all one. You are all connected and you are all one. Imagine yourself in the circle of love and that what one brings forward the other shall receive, that each of you that are holding this vibration will begin to feel no longer separate or disconnected from God, or from yourself, or from your fellow brothers and sisters, or from one another. You are all family, and you are part of the family of light, and again what one does affects the whole. So today, Mother Earth is asking all of the children just to listen, to return to love. To return to a place of balance and peace within your hearts, this is an extremely, extremely powerful day, and it is of great importance that all honor this, and all receive this. And all return to the strength of love. Honor your soul, honor the soul’s journey. Yes, Dearest Children, you have been brave, as you’ve come as the beautiful spirits to come to this Earth plane, and to go through the cycle of life, lifetime after lifetime, we will say to you, struggle after struggle, to return to this remembrance of who you are. This indeed is quite an experiment on your Earth plane. For your planet is a free will planet, and you beautiful spirits chose to come to experience this and return back to Oneness in this experimental project of living on the Earth plane. And you say, why? It is simply because it is a part of the evolution of this planet. And it is a part of the evolution for the cosmos and for this universe and this galaxy and this solar system. Mother Earth is a living, breathing entity, and she too is ascending in her vibration. And without you, without all of you, to help assist her, this could not be brought forth in the form and the essence of what she came to do. I know it may be confusing, or not make logical sense, but it is the simplest way that I can explain to you the reason why you are here, the reason why the Earth exists, and the reason that you all have gone through so much. Today, please honor the gift that Mother Earth has given you, and that I, my Mother, my Mary and the Great Supreme One, and all the beautiful galactic beings of light are offering today for the human race to evolve and to return to love. We’ve told you before there will a new race of children that will come forth to change the world, and they will make a difference, and be the teachers and the leaders for future generations. But for now, you, Dearest Ones, are the pioneers, you are the way showers and the leaders, sharing your words of wisdom for all others to receive. Remember, truth prevails. And since you’ve opened your beautiful heart chakra, you’ll begin to feel the truth of who you are, the truth of all that you receive, and all the energy that is now being brought forth onto you. Can you begin to feel the peaceful waves of love coming over you? And helping your mind to be calm, and to be at peace, and to feel nurtured and to feel loved. Today, Dearest Ones, we give you such a gift that we ask you to share it with all those that you come in contact with. Open your heart to love, to strangers, to the animal kingdom, to the planet kingdom, and allow yourself to feel this energy of love from the mineral kingdom, the energy of the mineral kingdom is supporting you, the energy of all life is giving you life. Without the trees, you wouldn’t be able to breathe. Without the physical Earth, you would not be able to grow your food. Without the beautiful waters, you would have nothing to drink. And yet, Dearest Ones, many of you take this for granted, and do not understand where all this comes from? Where do all these gifts come from? They have been gifted to you, Dearest One, by the Great Creator, and by your beautiful Mother Earth. And so, as you begin to honor the truth, that you have come to be here for this grand experiment, and grand design, and as you live in gratitude, that you have come forward in your ascension process and you are awakened to this energy, moment by moment by moment, each of you are shifting your frequencies into a higher level of light. And today, this powerful, powerful frequency of love that is being emitted to you by Mother Gaia, through the soles of your feet, waves and waves and waves of light that are being flooded to you like tubes of light, if you could see this, you would be amazed, but allow yourself to feel it. This is the energy of the energy that is on this planet, that is now flooding this planet with peace, and this is the energy that is now being emitted into your own soul, and into your own essence. This is a time of deep gratitude, and if you can hold this gratitude, it is contagious. Each one teach one, each one lead one, this energy is contagious. Happiness, joy, and the love that you feel is now within your etheric field, and you are touching so many by what you are offering. And just as it has been spoken of earlier, when Lea spoke about the amazement of these messages spreading around the world, for you see, she offers her time and her energy with love, to assist humanity in their evolution, and so you see her energy as well as all of your energies are supporting this, and is now bringing all of our teachings forward so that humanity can now ascend in consciousness, and Mother Earth can return back to her rightful place of the beautiful planet of love that she was created to be. And so, I thank you for supporting this energy and receiving it, and creating the opportunity so this energy can go forward to heal the planet. To heal yourselves, to heal the world. To simply be in a vibration of pure love. We ask you, at this time, in many ways, to stop focusing on the healing process, and allow yourself to simply bathe in the understanding that you are perfect, and that you are whole, and that you are now living in a beautiful state of balance, a balanced, perfected state. And when you let go of this energy, that something needs to be healed, something needs to be corrected, something needs to be changed, and you focus your attention on everything is in divine order, and divinely graced, and you feel this flood of energy that is moving through you, you will begin to understand what we speak of today. And this is how peace will prevail upon our planet. Every soul living in its perfected state of balance, just like your beautiful Lemurians in Telos, and many of the underground cities of light, for there are many who are living in balance, not just Telos. But, Dear Ones, realize that you can live this way in your individual lives from this day forth, if you choose. Not seeing problems, but focusing on the energy that everything is in perfect. Everything is divinely graced and in Divine order. And so, Dearest Ones, it is I, Yeshua, Jesus of Nazareth, who have come today, helping you to understand the teachings and the message that I brought forth over 2,000 years ago, and I bring it forth today, I bring it forth today, I bring it forth today. This is of grave importance that you understand this. You begin to embody it, and you truly begin to embrace it. This is a powerful, powerful, powerful message of hope and renewal, and regeneration of the soul. Go now, my children, with the understanding that all is in order and all is as it should be. We’ve all come here today with you, as Mother Earth comes to support you with love, and now as you leave the crystalline core of Mother Earth, and Isabella closes the doorway and the gateway, feel this within your heart that you take the energy of Mother Gaia into your heart, into your temple, into your vessel, your love with the world. And allowing this vibration today, this message, that is now encoded with love, that will be sent around the globe, and those who listen, those who read, and those who begin to feel the resonance and the essence of this message, and yes, Dearest Ones, we are changing the world, one by one by one. One person at a time. This is what I came to do 2,000 years ago, to bring love, simply that was all I came to do. And to help people understand the magnificence of their beautiful spirit, so they can live in the divinity and the truth of their soul, to live in the divine truth of their divine spirit. 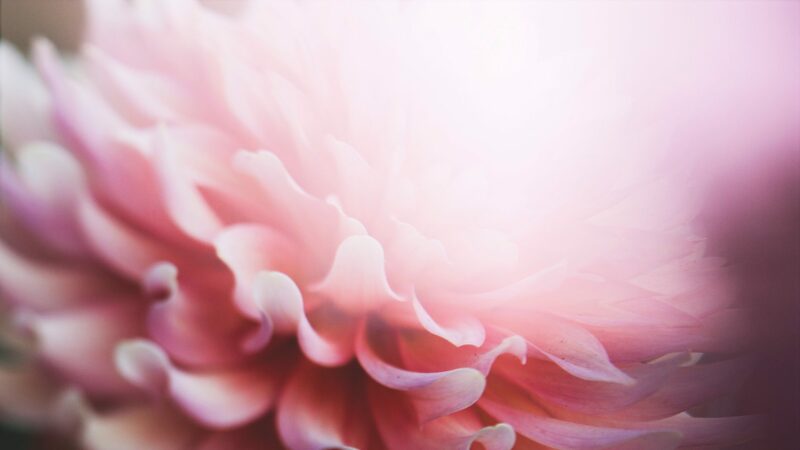 And so, Dearest Ones, I thank you for your time, I thank you for your attention, I thank you for being the Living Lights of God, as you are the powerful expression of the living truth of the Divine presence that lives inside of your being. Now, Dearest Children, go in peace, be still, be still, be still, and know that you are God. Be still, be still, be still, and know that you are the Divine Goddess, that you hold the essence of the Divine Mother Goddess frequency within you, and that you are living in your Divine perfected state of glory. Go in peace.